Do you want to have jiggly happy feet? If you do, tap dancing might be the one for you. Tap dancing is undeniably one of the dance styles that stands out the most. Continue reading and get to know why. If you’re reading this, chances are, you are already familiar with what tap dance is all about. By definition, tap dance is a unique style of dance whereby a dancer wears special shoes fitted with metal heel and toe taps, which create a rhythmic sound when they strike the floor. Ever since its first appearance in the public, tap dancing has immediately been part of the Jazz music and culture, especially in North America. It was so popular that tap dancing had ultimately become a hobby then for millions of people. Tap dance originated in the United States from the fusion of several ethnic percussive dances such as African tribal dances, Spanish flamenco, English clog dancing and Irish jigs. Today, the most widely known tap dance variations include flamenco, jazz tap, classical tap, Broadway tap and post-modern tap. Tap dance is a very enjoyable dance form to learn. It’s a dance form that can be learned by anyone. It doesn’t matter what dance experience you have, so long as you’re determined to learn and master it. Tap dancing develops a dancer’s skills on choreography, syncopation and creativity. The various tap dance combinations build up the strength of your legs and feet on top of improving the flexibility of your hips, knees and ankles. It is undoubtedly a great way to enhance one’s balance and core control. In turn, tap dancing can reduce back pains and even improve your posture. The cognitive abilities of tap dancers are enhanced as well. In tap dancing, since you’ll be needing to come up with different step combinations, your mental and muscle memory improves over time as well. Another good reason to try tap dance is how it improves social skills. With just a few taps, you can engage with others immediately. 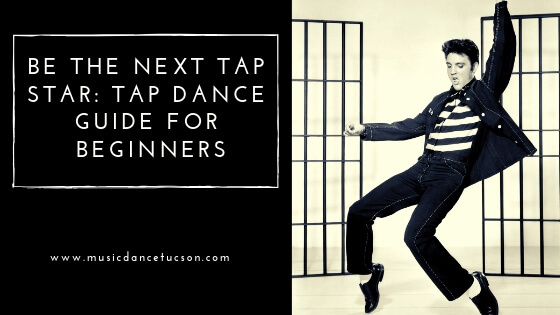 One of the best things about tap dancing is that regardless of how old you are, you can start learning it and eventually be the next ‘tap superstar’ with the right training. Here’s what to expect when learning it for the first time. For tap dancers, putting on a good pair of tap shoes is everything. Most experienced tappers get along with oxford tap shoes. In choosing the perfect tap shoes, you may need to consider the style, fit, comfort and sound. When tap dancing, your listening skills will be tested. That’s why you need to have good musical sensitivity when listening to the beats. If you have previously suffered from an injury on your ankle or lower leg, you will need to inform your instructor as this dance form may stress these parts. This is for your own safety. Tap dance moves may be called differently, so make sure you’re aware of it as you go on your tap dancing journey to avoid confusion. You need to learn the interesting tap dance terminology for you to learn better. There are lots of music options for tap dance. It would be better if you can explore which type of music is ideal for you. Since you will have to move your ankles and your lower legs a lot, you need to dress comfortably. Avoid wearing clothing that can get in the way,. As you practice tap dancing, here are some tips to get by more easily. While you will have to master or memorize the steps in tap dancing, you have to remind yourself from time to time that tap dancing is also a way of making music, as well. Make sure you stay in tune with the rhythm so you’ll deliver a great performance while feeling great yourself, too. When performing, you want to appear neat and natural. You want to know the secret to do it? Relax your ankles. You may not notice how you’re overusing your ankles for you to tap faster. Remember to limit the movement of your ankles as you practice or perform. Tappers often get carried away and speed up through the combinations to stay to the rhythm. But unknowingly, this can be a bad habit as steps may overlap and make you skip some combinations along. So, slow down and try producing clearer sounds. Tap dancing requires your legs and feet to be lifted frequently. To keep your balance, one good way is to shift your weight forward. Learn only from the best. Having the proper training is key in learning tap dance. A good musical background helps a lot. Music such as jazz can enhance your rhythm and help you interact with music to create amazing beats. Here at the Music & Dance Academy, we provide tap dance classes for all ages–from pre-school to adult. Students get to learn the different tap terminology and combinations to all kinds of rhythms and music varieties. Click here to learn more. It’s easy to take the next step. Contact us!